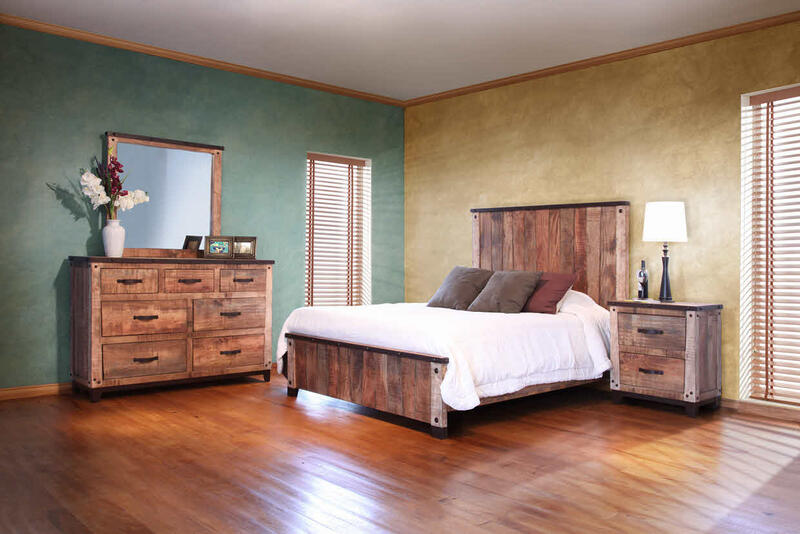 Hand made in Mexico from solid mango wood planks, this bed features hacienda-type hand forged iron accents and a smooth, lovely distressed finish. Beautifully constructed, solid and sturdy. 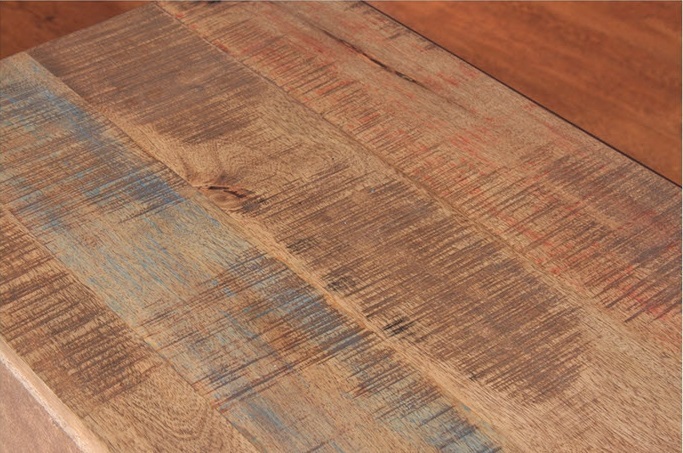 Evocative of times at the beach and of the very "hip" rustic contemporary aesthetic. Multiple protective varnishes, light washes of color and a finish so wonderful to touch that, frankly, pictures barely do it justice..
Queen bed comes complete with headboard and bed rails, ready for mattress and box spring. 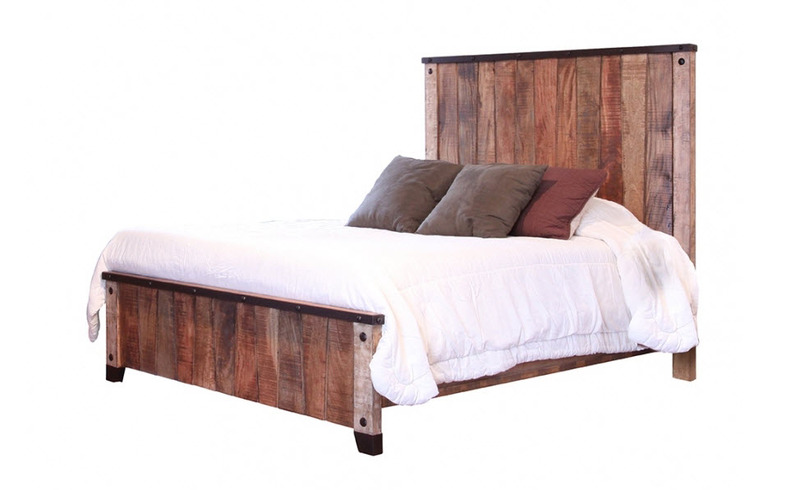 Standard King bed is 81" long, headboard 80" width. California King bed is 85" long, headboard 80" width.